Downtown Mixer Division Only Spring 9-Ball Playoffs - Downtown Mixer Division Only - SEMI @ TBD FINALS AND FINALS - Play will begin @ 5PM. @ Rimrocks and The Backyard Host locations will be assigned by 5/7. Play begins @ 7PM. Any GMAPA team that has played all 3 sessions and lost in playoffs or a team that has played all 3 sessions and has lost its qualification will be eligible for this tournament. This tournament is designed to fill any byes in the WPQ 16 team bracket. If there are no byes, no tournament will take place. This will be a modified single elimination tournament. 8-Ball --> teams will play matches of 3, SL of 14 max. 9-Ball --> teams will play matches of 3, SL of 14 max, race to 31. Brackets will be played out only until the number of teams needed are reached. Any GMAPA player who has completed 2 sessions as a Team Captain in standard 8-Ball, 9-Ball, or Ladies in the 2018/2019 league year. Alternate divisions with 20 or more matches scheduled for play over the course of the divisions qualifying will be considered equivalent to 2 sessions of the standard formats. Master's is not eligible format. Players must be on an active summer roster. Three to five players per roster. Teams may choose any 3 of the 5 players to participate in each match. The total of the skill level cannot exceed 15. Players must have at least 20 8-Ball or 9-Ball scores within the last 2 years. A combination of scores from the 2 formats is not allowed. 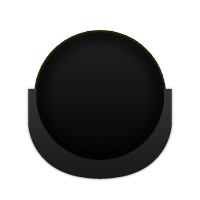 Alternate between 8-Ball and 9-Ball racks, starting with 8-Ball. Only 1 SL 6 or higher may play per match. No entry fee or team dues. Winning team advances to Las Vegas to the 2019 World Pool Championships. Ladies only, must have I.D.. 3 to 5 person roster. Total SL of 13 max. Must have played at least 4 times in the spring session. Matches must have been in standard 8 ball format or in a ladies division. If play only Ladies Division, 10 scores within the last year. If not, must have 20 scores within the last 2 years. Players must be on an active summer roster in any 8-Ball format.